Receiving a wedding invite is an honour — the fact that the special couple wants you to be there to share their day with them is a nice note. But being a wedding guest doesn’t come without preparation. Choosing a gift is hard enough, but what about an outfit? Selecting a guest outfit for a wedding in the UK is hard enough, but what about if you’ve been invited to a wedding of a different culture? Together with Charles Tyrwhitt, retailers of timeless menswear, we look at how the dress code of a wedding changes depending on the background of the newlyweds. Across the UK, the bride traditionally wears a white dress, often accompanied by a long train and veil. But how do our own bridal traditions compare to India, Japan and China? 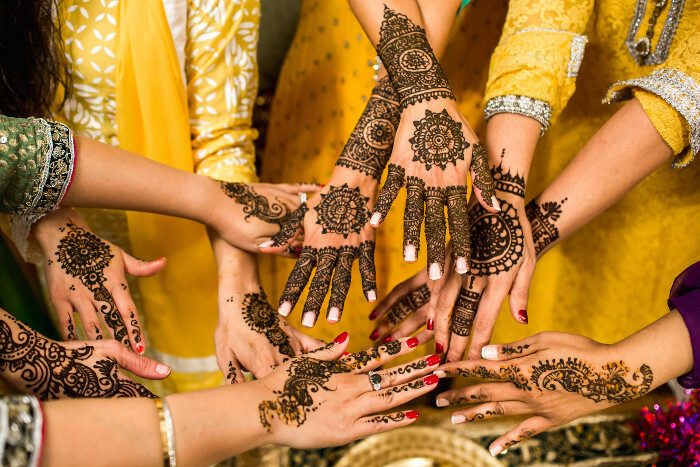 It is also traditional for the bride, and her bridal party, to have hennas drawn on their palms, hands, forearms, and legs. Weddings in Japan are very extravagant occasions with many families spending close to £75,000 on the wedding day. 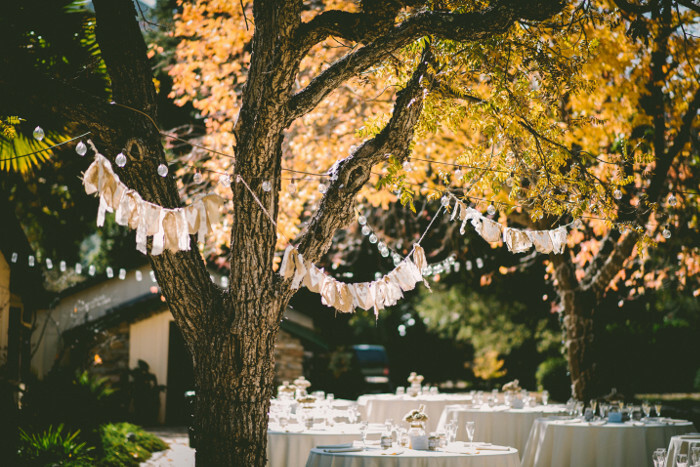 It is often the parents of the couple who organise the wedding, and they are willing to spend excessive amounts to save face. Because of the large scale of the weddings, the bride can have as many as five costume changes! The bride is likely to wear a white kimono at a traditional (Shinto) wedding, however, more recently Japanese brides wear a dress that has a traditional print. Red is the colour of good luck in China and is believed to warn-off evil spirits, which is why the bride is often dressed in a red garment. In some regions, typically in northern China, the traditional attire for a bride is a one-piece dress that is embroidered with gold and silver designs. In southern China, the typical wear is a two-piece frock. Whilst brides often wear a tiara in the UK, in China, it is normal for the bride to wear a crown as part of their bridal attire. It is worn for photography or for show at a grand occasion. For footwear, a special pair of shoes is often worn that are embroidered with a symbol — for example, a turtle or a deer which symbolises happiness and longevity. In the UK, the groom and his groomsmen will often wear a traditional suit on their wedding day. However, in other cultures, the men often have traditional dress codes that they are expected to follow. More recently though, many of them are opting for a smart men’s slim fit suit similar to how a groom in the UK would dress. The region that the groom comes from will influence his code of dress. Some husbands-to-be wear traditional dress, such as a dhoti which is a rectangular cloth tied around the waist. In other regions, they wear a sherwani (a long coat), a kurta (loose falling shirt that hangs below the knee), or a Western suit. A wedding kimono is the traditional dress for a Japanese groom at his wedding ceremony. An outfit change is common — the groom often changes into a tuxedo after the ceremony. The formal kimono that he wears is called a montsuki, and often displays the family crest. More recently, younger grooms start the ceremony in a tuxedo, too. A Chinese groom can be found wearing a black silk coat, layered on top of an embroidered robe in traditional ceremonies. However, often in the modern day, the overcoat is not worn. The groom has to wear headwear, just like the bride. However the male’s head piece is usually a black hat with a red tassel. Some younger generations are not following the traditional dress code and simply wear a tuxedo or a Western-style business suit. When attending a wedding of a different culture, it is important to be respectful of their traditions and symbolic clothing. Indian weddings are bold occasions, so you can be bold with your outfit, too. Wearing vibrant colours will mean you fit in with the Indian guests. Guests should avoid white or black as these are colours worn for funerals and mourning in India. It is also advised that red is not worn either as the bride will probably be dressed in this colour. It is also worth noting that too much flesh on show is a bad idea. Women guests should not bare their shoulders, wear low cut tops or short skirts as this can be seen as disrespectful — a jewel-tone dress with a shawl is one appropriate outfit. The Indian female guests will most likely be dressed in colourful sarees or anarkali suits. Jewellery is important for women, too. Choose a statement piece for around your neck with matching earrings and bangles. Male guests often wear a tailored kurta with a pyjama and a dupatta (shawl) can be added over the kurta. For their feet, sandals, jootis or chappals are often worn as these are comfortable and prevent overheating. During the ceremony in the temple, guests may be asked to cover their heads as a sign of respect. For this, women can wear a long scarf or pashmina over their heads and men are usually provided with a head cover, such as a large handkerchief. An Indian wedding is often a drawn out event (it could be three days long!) so make sure you are wearing something loose and comfortable. A black suit with a white tie is perfect for a traditional Japanese wedding. But at more modern-day weddings, the dress code is more flexible and it is acceptable for men to come dressed in suits other than black with various coloured ties. However, it is advised to avoid white clothes with black ties. Knee-length dresses or coloured kimonos are traditional and respectful at a Japanese wedding. It is best to avoid showing any shoulder, as this can be deemed as disrespectful. Whilst red is considered a symbol of good luck, guests should avoid wearing red as it could be seen as trying to take the limelight away from the bride. It’s best to wear pink, peach or purple as these are all symbols of new life and happiness. A formal dress is suitable for a Chinese wedding.